Donevort – Manhing – Burže – Beograd. (Jedan) srpski H145M će nakon premijere za zvaničnike, zatim trenažnih letova u Manhingu, do Beograda stići preko Pariza. Kako je Tango Six prvi ekskluzivno i javio, jedan RV i PVO primerak će sa domaće-razvijenom H-Force 1 integracijom biti na štandu Erbas Grupe na najvećem svetskom sajmu vazduhoplovne industrije od 17. do 22. juna (nedelju dana pre Partnera 2019). Brad 09:14, 11. apr. 2019. Kolko bi nam ovakvih jos trebalo u vojsci i policiji? I dali ima smisla pored oklopnjenijih Mi-35M uzimati verziju sa HFORCE. Zar nebi bilo bolje alocirati te helikoptere za SAR, CSAR i MEDEVAC namene? Al-41F1 18:32, 11. apr. 2019. Itekako ima, posto se razvio program naoruzanja u Srbiji i sad ce AirBus nuditi to kao fabricku opciju za kupce koji zele laganiji paket naoruzanja(a bice ih dosta sigurno), nakon sertifikacije naravno. A i nekad nema bas smisla dizati Mi-35m, pogotovo ako se nesto mora pronaci sto ne zeli da se pronadje. SRBIJA 19:56, 12. apr. 2019. H145M je ocigledno izuzetno borbeno sposoban helikopter tako da uz 5 ili koliko vec dobija VS tu dodamo jos 4 komada MI-35M …Imamo 9 izuzetnih borbmenih helikoptera ,naravno da to nije ista klasa helikoptera …Ali ce se moci od sitvacije do sitvacije ,u zavisnosti od poterbe i same misije ,kada odgovara samo H145M, kada kombinovano sa MI-35 kada svi zajedno ,ili mozda u konbinaciji sa MI-17 i GAZELAMA…Tako da mislim da je ovo pun pogodak .Pogotovo sto su i H145M ,MI-17,MI-35M.Pre svega novi i vrhunski helikopteri u svojoj klasi su uvek bar u top 5,na svetu trenutno,tako da bolje od ovoga ne moze da se trazi.Naravno da bi mi svi voleli da je broj kupljenih helikoptera mnogo veci ,ali i ovo je za sada sasvim korektno ,imajuci u vidu i koliko GAZELA imamo ,koje je takodje izuzetan helikopter . resurs 09:46, 11. apr. 2019. Zašto policijski nema one sekače kablova iznad i ispod kabine ??? Tedy 13:39, 11. apr. 2019. Latest news about RoAF F-16s. 5 from Portugal and the next 36. Some lines about the F-35. Minister of defence, today 14,02 PM Ro time. jale 16:29, 11. apr. 2019. Slazem se u potpunosti sa Bradom treba ici na eskadrilu MI-35 iMI-17 a ovo ostaviti kako je vec naveo. Dead1 11:04, 15. apr. 2019. Thanks Tedy. Update is much appreciated. Tedy 14:47, 15. apr. 2019. You’re welcome. I did that remembering you asked me for something new about the F-16. Tedy 17:59, 11. apr. 2019. THAAD at Deveselu. Untill the shield is upgraded. Piglet 21:10, 11. apr. 2019. Tedy 21:28, 11. apr. 2019. Sorry if it is not ok with you. I thought it will be an interesting news. Maybe I was wrong. Petar Vojinovic 21:36, 11. apr. 2019. Tedy 21:47, 11. apr. 2019. I’m sorry. I just do not want to destroy your topic. It is not my intention. Tedy 09:09, 12. apr. 2019. Speaking seriously, you know how much I appreciate your site. Finding good journalism is very hard. So, my quite rare moments of extravagance are based on good intentions. If you’ll find a way to post some of the articles in english too would increase your public. Your platform is a very good one by any standard. Petar Vojinovic 11:26, 12. apr. 2019. Thanks for the kind words and for being our (foreign) reader. Our goal was always to do quality journalism (we’re not just aviation enthusiasts but educated journalists) and original content is top priority. We are currently the most read (by actual numbers) of all our competitors combined in ex-Yugoslavia so increasing readership is not as important as increasing the quality of our content/reporting. English version(s) are in a pipeline, a distant one currently. Tedy 11:49, 12. apr. 2019. Tedy 22:23, 11. apr. 2019. About H145. It is a good choice. It was offered to RoAF in a Spike/Aim-9 configuration, together with H215. When I’m looking at it, I remember the Bo105. Another great helicopter. Brad 23:14, 11. apr. 2019. Tedy 23:39, 11. apr. 2019. It seems so, but I’m not 100% sure. Tedy 23:45, 11. apr. 2019. Most probably it is the only production plant for H215. Tedy 23:58, 11. apr. 2019. Anyway, it is a good helicopter. Our Pumas served for 40 years and they are still flying. Very happy with it. Good, strong, not expensive to use and reliable. Brad 02:03, 12. apr. 2019. Good thing we are supporting romanian industry rather than french then. I heard factory badly needs orders. I still dont understand why we would take them over army used Mi-17. Tedy 09:00, 12. apr. 2019. You should buy what it suits better for you. If it is H215, very good. Anyway, as I said, it is a long tested versatile, and modern helicopter. A good buy. Tedy 09:02, 12. apr. 2019. Radmila Ronhill 07:41, 12. apr. 2019. „Prime Minister Ciolos said that Romania’s Interior Ministry and Defense Ministry will analyze the possibility to buy several helicopters produced by the new factory“ good news you guys will buy at least 4 Pumas.How many is several? Two is a „couple“ and more than two or three is several.Several is a word that shows size or number when you can’t be specific or when you want to summarize.You will support production (RO) for TWO YERAS and sale department will do their job. 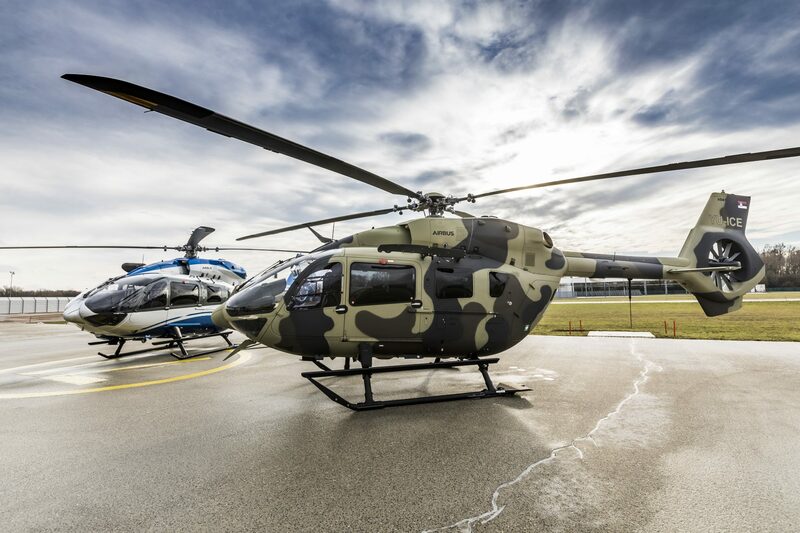 Ro have then the production of helicopter and the transfer of technology and we too ( Serbia) should be part of the project, and with our shopping for police we can make sure that something is produced by us and be part of project. For good old days. Tedy 08:55, 12. apr. 2019. Ro Superior Council for Defence has approved transport and medevac helicopter program as being a strategical one. Maybe the H215 will be the natural choice. The problem is in armonising Bell’s attack and Airbus transport aka “multirol“ offers. We need at least 21 attack and much more transport helis. For very small numbers, nobody offers very much industrial cooperation. Ro has to replace around 60 transport and medevac helis, I guess. Ro is also one of the largest Puma recipients and cooperation with Airbus has a long history. Radmila Ronhill 06:57, 16. apr. 2019. Great if you need 60 and we need squadron we can get an good deal. I think we go wrong with these helicopters. We did not unify anything. Does anyone know how much we paid them H145-s? We need also VIP version and do you Tedy think RO will do something similar like Swiss and RUAG. Radmila Ronhill 07:17, 16. apr. 2019. The H225’s versatility and load-carrying capacity enables the helicopter to support fire ground units by delivering water with high precision. Airbus Helicopters’ internal water tank for the H225 carries 4,000-liters – the largest capacity for a rotorcraft. For such missions, the H225 is equipped with a retractable pump to fill the tank in 90 seconds, even while operating from very shallow water. The water is released in four seconds, and this load can be deployed anywhere in the rotorcraft’s full flight domain. Paqe 08:44, 17. apr. 2019. Mi-17V5 can carry Bamby Bucket HL-5000 with ability to be loaded with 3500 l of water. Bucket can be filled in seconds and water is deployed in seconds. Radmila Ronhill 06:32, 18. apr. 2019. Flying with bucket and internal tank are kao nebo i zemlja! ask any pilots how dangers is flying with bucket! internal tank is in a helikopter limits and with high precision they can deploy. It is better to have a fire helicopter with a fire-extinguishing system than a racing tractor with a rope-off method. For 26 mil. $ we did not get anything extra with helicopters and for that price we can choose. Paqe 10:11, 18. apr. 2019. All Mi-17V5 will have Hl-5000 very soon. Price of bucket is under 100k per helicopter. What is prize of H225 capable for fire fighting? Radmila Ronhill 09:23, 19. apr. 2019. Paqe 19:26, 21. apr. 2019. 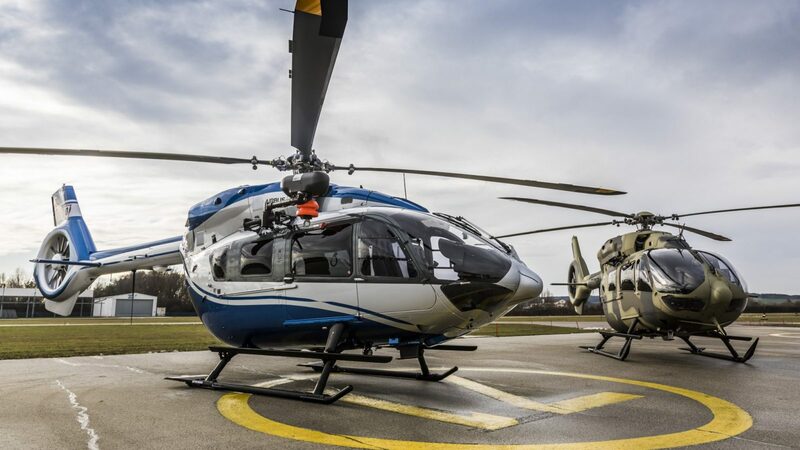 Source for price of new Airbus Helis? With crew training, spare parts, maintenance…plus FF equipment? Two used Super Pumas were offered to Serbia in 2015-6 for the price of 24M. I know how FF system looks like.